From humble beginnings, we have grown to include a family of partners, reaching new heights that help us help you. Together with our affiliated brands we are able to do more than ever before. JENNMAR's experienced Technical Service Representatives and Mining Engineers are there, where and when you need us. Nothing is more important than the quality of our products and the safety of those who use them. We will provide you with the right products for the job, customizing them to suit your needs or developing the products that best support your unique conditions. JENNMAR is the largest manufacturer of roof control products in the U.S., however we don't stop there. We can supply you with much more. Take a look at our capabilities and affiliates to learn more. We are your one stop shop. JENNMAR makes a broad range of reliable ground control products, from bolts and beams, to channels and trusses, to resin and rebar. We are proud to make products that make the mining and tunneling industries safer and more efficient. JENNMAR is a market leader in the supply of underground products and systems. With innovative design and development, we can supply you with all your mining needs. We are focused on developing the solution you need to build and expand within the construction industries. We can provide superior service to a vast range of customers in the industrial sectors, including construction, automotive, aerospace, trucking, drilling rigs, heavy equipment, and agriculture. With more than twenty strategically located manufacturing facilities, we have the capability to produce quality products by quality people. We work for both the employer and the employee. We will match your industry skills with the right employer. Our employees are our most important asset. We provide advance engineering services such as structural analysis, numerical modeling and 3-D modeling. We have the software and computerized databases to provide the customer with the most advanced roof control plan for any underground condition. JENNMAR's offerings include train and track services as well as automotive handling and transloading of commodities of our manufactured goods. We can design and deliver chemical roof support, rock stabilization, and ventilation sealing products to the mining and underground construction. We will continue to explore and transform chemical solutions into innovative new products. From bolts and beams, to channels and trusses, to resin and rebar, JENNMAR is proud to manufacture products that make Coal & Hard Rock Mining, Tunneling and Civil Construction safer and more efficient. 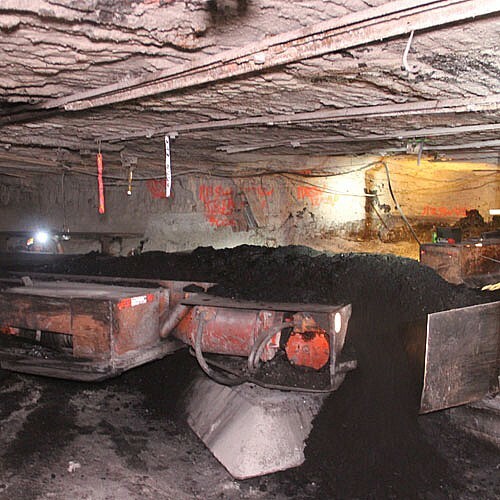 Ground Support products for the coal mining industry. We offer customized and reliable products. Along with our complimentary products, we are a single source provider for all your coal mining needs. JENNMAR's products are specially developed and engineered to meet the requirements and needs of our hard rock and aggregate customers. 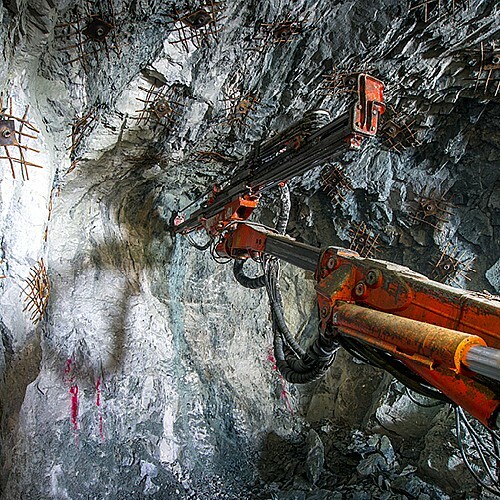 The civil division of Jennmar offers the civil works industry products for the purpose of rock, soil and concrete anchoring, post tensioning systems and tunneling support. So much of our modern world begins underground, in the form of the raw material that is molded into products that range from ordinary to exotic, or converted to energy which is at the very heart of every modern society and rarely given a second thought. But, that raw material must first be extracted from the earth and it must be done safely. That’s where we come in. 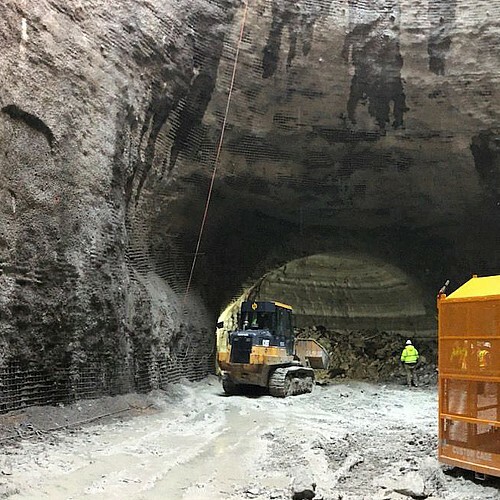 Our products and services allow men and women to safely mine the earth, to safely build tunnels and underground structures, in short, to safely unleash the creative potential within us all. While that may sound grandiose, it is absolutely true. It is never another mundane day at work for us. We are silent partners to the industries that make modern life possible. Announcing the completion of our Asset Purchase Agreement with the roller shop division of Classic Conveyor, a division of Fenner Dunlop America's. On March 20, 2019, Frank Calandra, Jr., was inducted into the West Virginia Coal Mining Institute Hall of Fame at the Annual Induction Ceremony and dinner. JM Steel, an affiliate of JENNMAR, is adding a 35,000 sq. ft. addition to house state-of-the-art fabrication equipment.